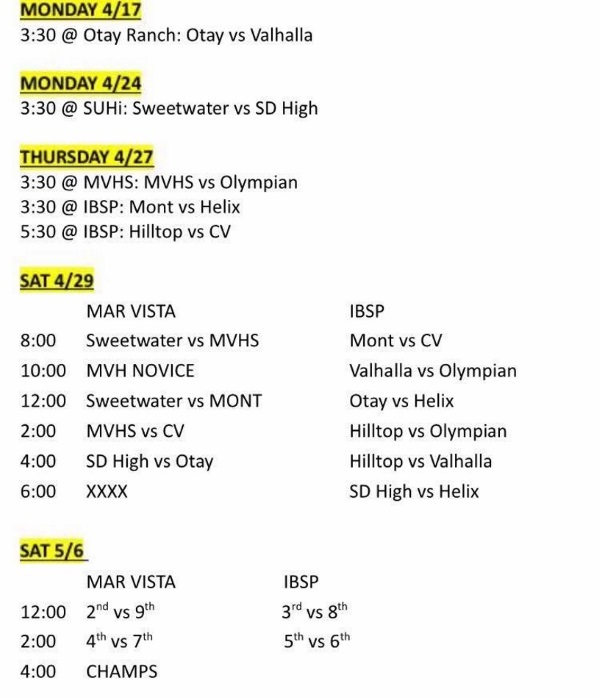 The Mar Vista Girls JV Softball Team is Hosting a Tournament Tonight and Saturday. Games are being Played at the High School and at the IB Girls Softball Field. See Schedule for Location & Times!